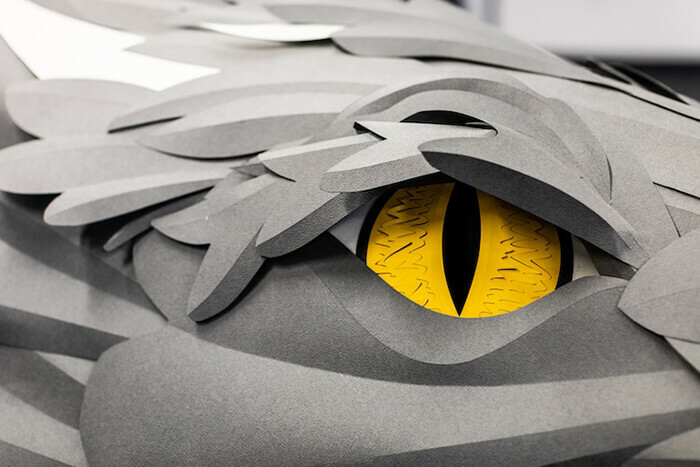 If you have been following the famous HBO’s series Game of Thrones over the past seven seasons, April 14, 2019 is a special date for you since the eighth and final season starts on that date. Many people are celebrating its return but Office stationery suppliers Viking Direct have gone well beyond. 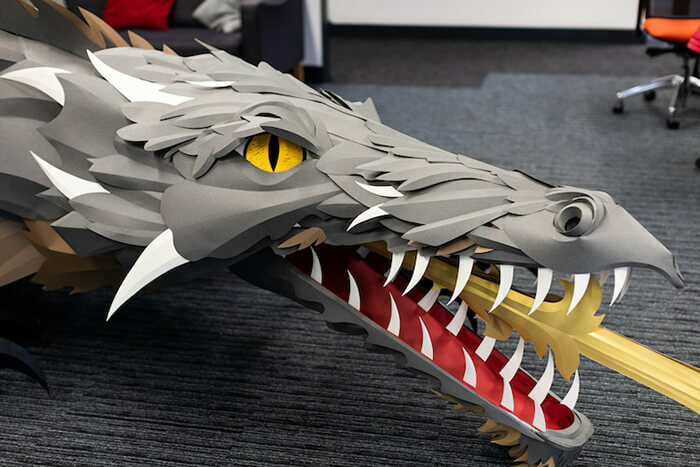 Instead of having a viewing party , they decided to host a giant dragon art piece inspired by the show in their office. 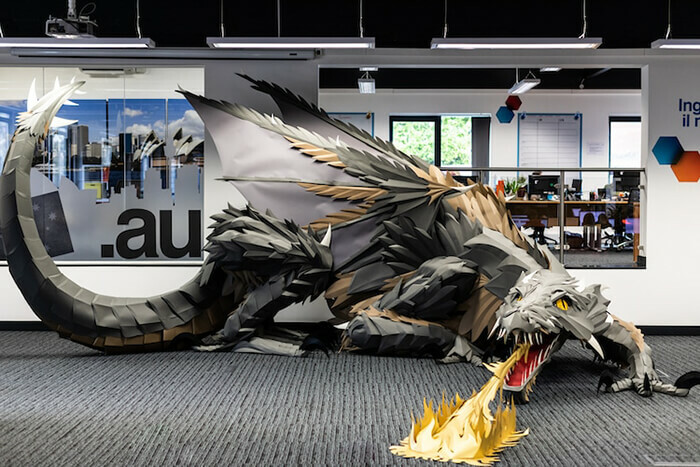 They work with the artist Andy Singleton to create this freestanding, fire-breathing beast which comprises 1,200 sheets of A4-sized paper and measures an incredible 43 feet long with a wingspan of nearly 20 feet. 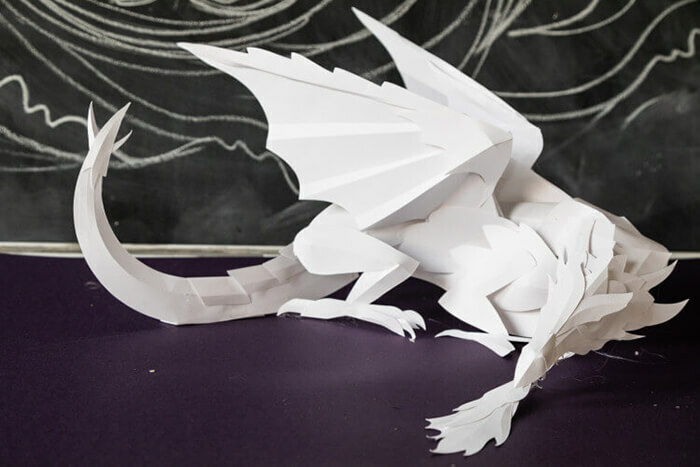 To design the creature, Singleton started with a sketch and then built a small-scale model to iron out the three-dimensional details. 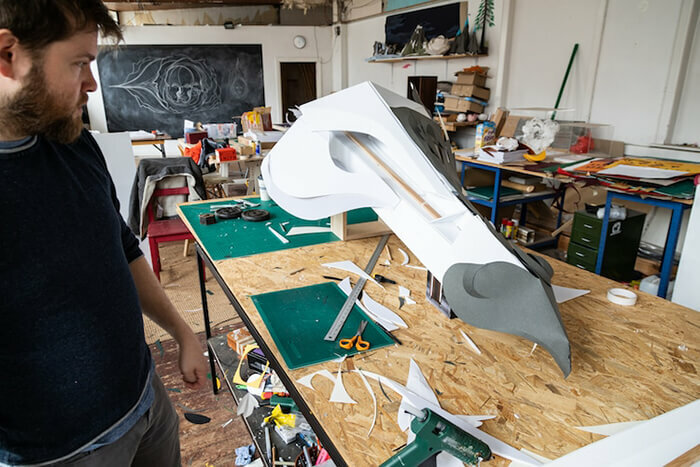 The whole project takes more than 100 hours to complete. 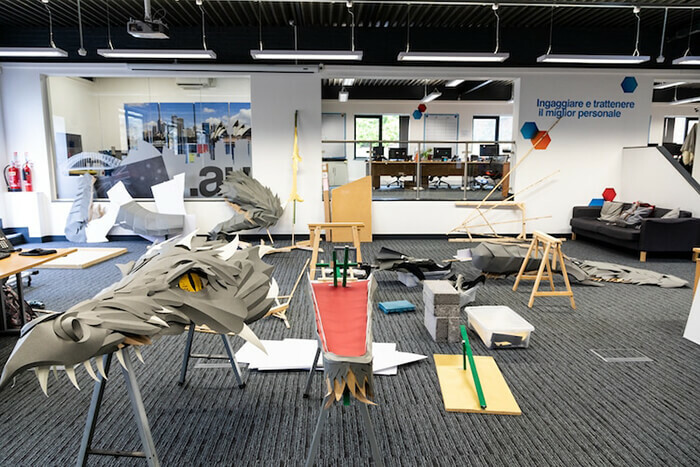 Singleton need to first complete the sculpture in section and make sure they can be easily transported. 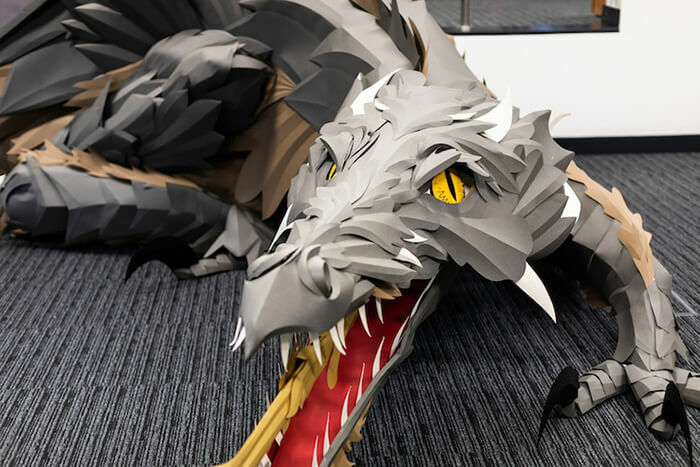 After those sections sent to Viking office, he spent another 10 hours to put them together. 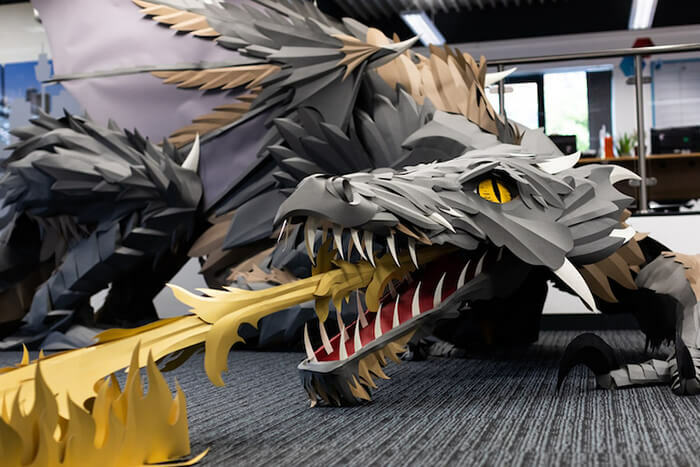 The beast’s presence was a delightful surprise for the rest of the team and now resides in their cozy office setting. 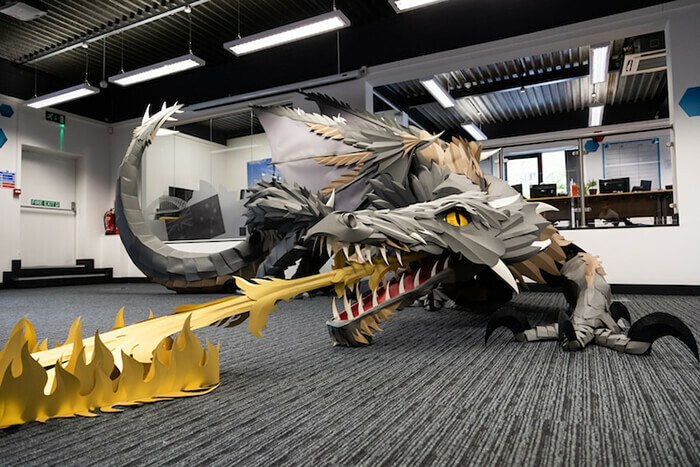 But once the dragon has enjoyed its time at Viking Direct, it will be donated to a local school to inspire the creativity of the students there.